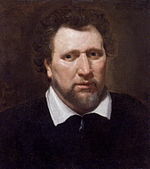 Every Man in His Humour est ludus scaenicus a Beniamino Jonson anno 1598 doctus, anno 1601 divulgatus. KNO' WELL, an old Gentleman. ED. KNO' WELL, his Son. JUST. CLEMENT, an old merry Magistrate.